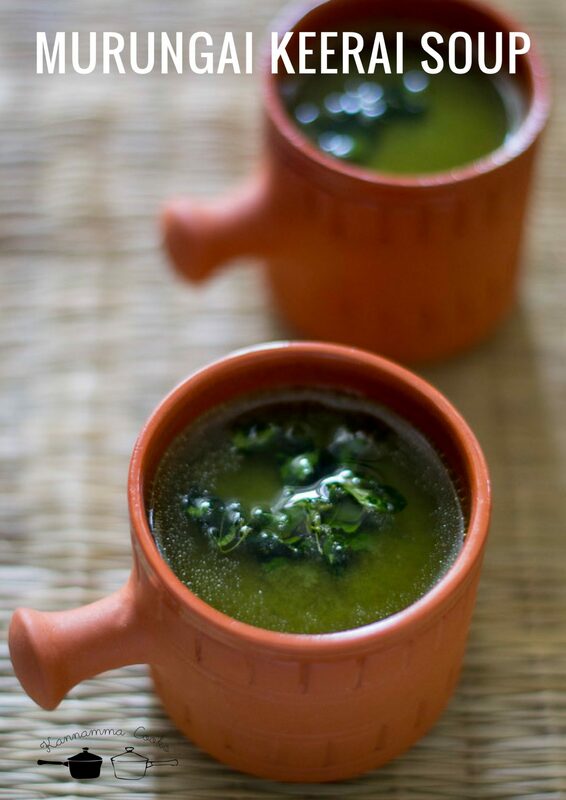 Here is the recipe for traditional Tamilnadu style Murungai Keerai Soup made with dal and spices. 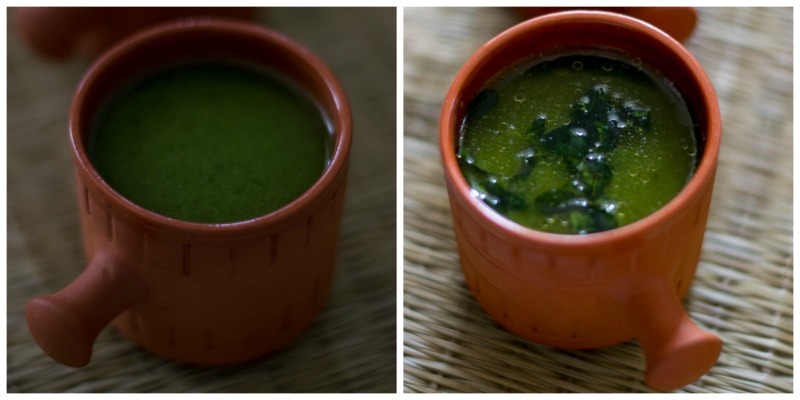 Moringa Leaves Soup recipe. 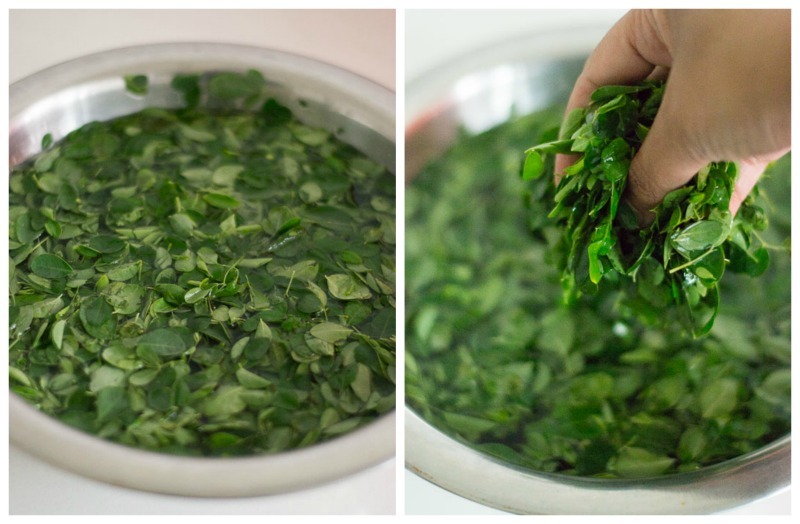 Murungai Ilai or Moringa Leaves is a staple in the South Indian kitchen. Its added to lentil dishes, made into a stir fry, added to omelettes, added while making ghee and later strained (it makes the ghee so aromatic). Its very nutrient dense and a good source of iron. This soup is very refreshing and usually served during lunch. The Murungai Ilai or Moringa Leaves are naturally slightly bitter. Add 1/2 cup to 1 cup of leaves in this recipe depending on how much bitterness you can handle. 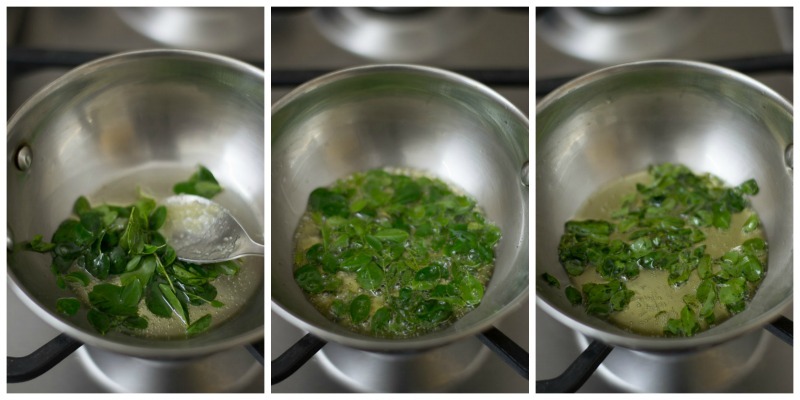 If you are trying this recipe for the first time, I advice you to start with just 1/2 cup of leaves. 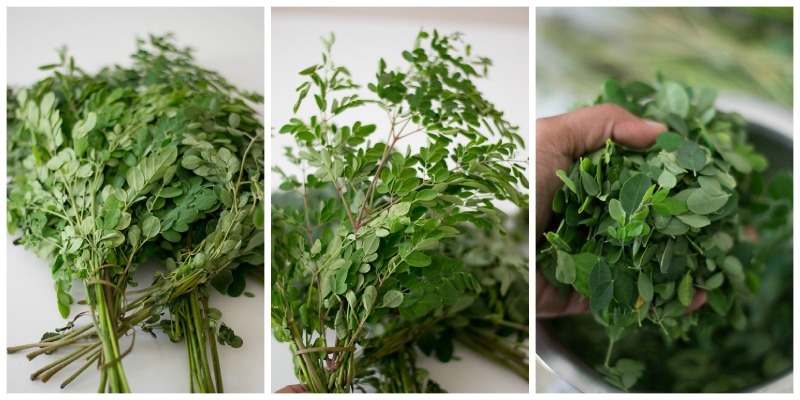 Murungai Ilai or moringa leaves needs a little prep work. Pull the leaves from the stem and set aside in a bowl. There might be small tiny stems still attached to the leaves and that is perfectly fine. Do not bother too much. Almost always, the moringa leaves have a lot of sand and fine dust in them. Wash and soak the leaves in water for 10 minutes. Gently remove the leaves from the top. While cleaning any greens, leaves, do not strain. The sand and the fine debris gets settled in the bottom of the vessel after soaking. Gently remove the greens from the top making sure not to disturb the sediment at the bottom. Grind the leaves with a cup of water. Set aside. The ground leaves will become slightly slimy in minutes. That’s fine. It will not be very appetizing to watch the slime. Bear with me. Good things take time. 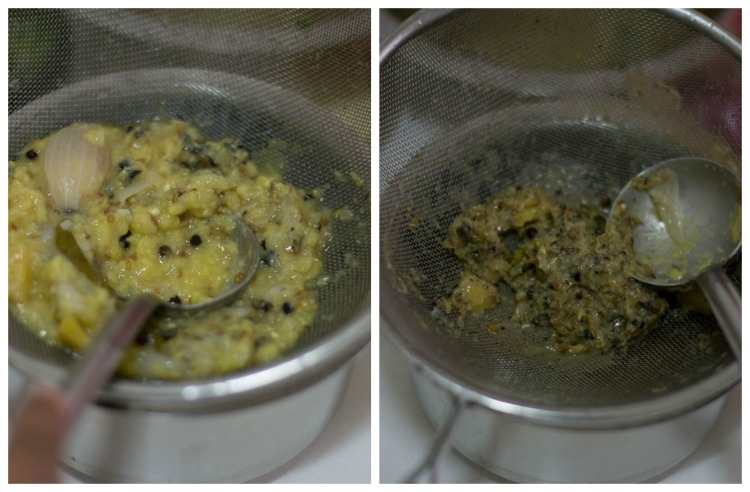 Take a pressure pan and add in the cleaned and washed yellow moong dal. 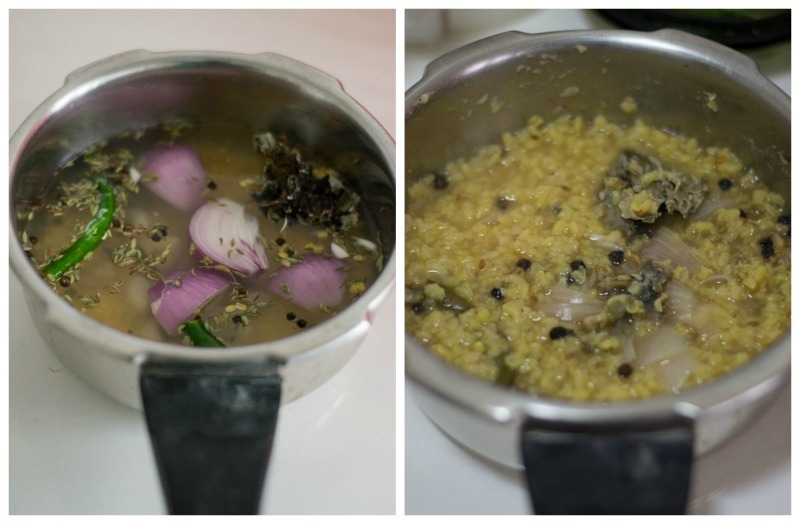 Add in the spices – cumin seeds, fennel seeds, black pepper, cloves, cardamom, maratti moggu (kapok buds) and kalpasi. Add in the roughly chopped onions, garlic, ginger and green chillies. Add in 2 cups of water and cook the dal in the cooker for 6 whistles. Remove from heat and allow the whistle to settle naturally. Strain the liquid in a colander. Do not use a fine mesh colander. You want the dal and the juices as this is a thick soup and the dal gives it the body. Use a wide mesh colander. 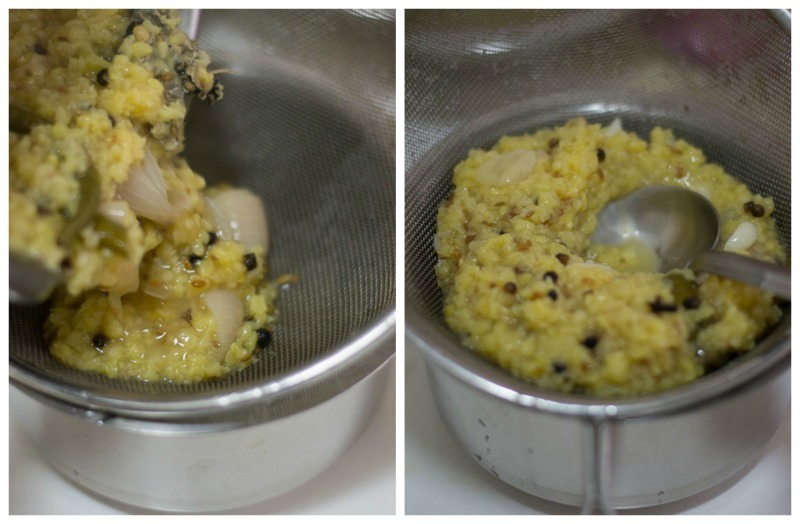 Use a ladle to press and strain the dal mixture. Set aside. 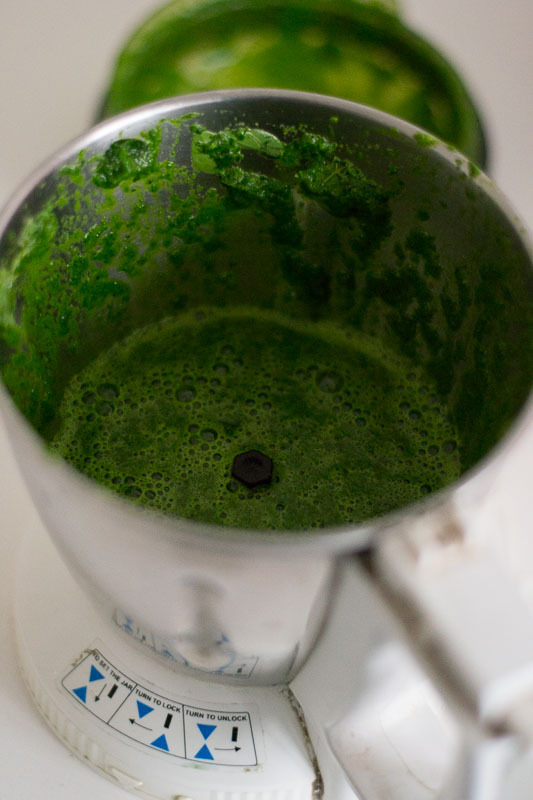 Add in the ground moringa paste to the colander and strain that too. Heat ghee in a pan and add in the strained liquid, water and salt. ( Add around 1 to 1.5 cups of water). Add in freshly ground black pepper powder and bring it to a boil. Simmer for 3-4 minutes. Remove from heat and set aside. 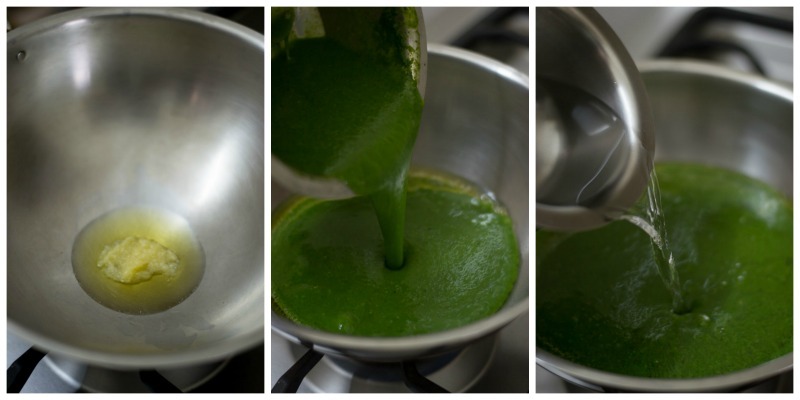 Heat ghee in a pan and add in the moringa leaves. Fry on a low flame until the leaves are crisp. 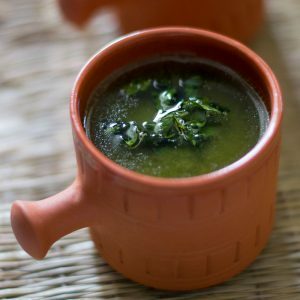 Add a teaspoon of crisped leaves along with ghee to the soup just before serving. Serve the soup hot. Grind the leaves with a cup of water. Set aside. 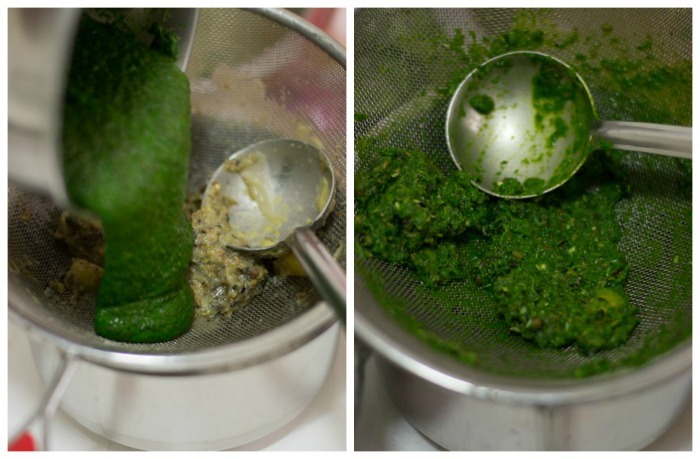 Add in the ground moringa paste to the colander and strain that too. Set aside. Heat ghee in a pan and add in the strained liquid, water and salt. Add it to the soup just before serving. Serve the soup hot. Very nice recipe and I tried out and came very well.Good job Suguna..
oh yeah, looks delish. tried moringa in smoothies but not soups yet. first came across it backpacking in india in the north. love the stuff. 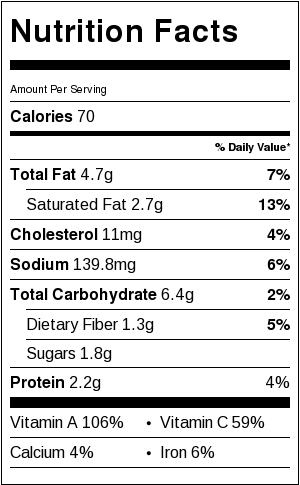 moringa also has all essential amino acids making it a full protein which is very rare in the plant world. so its ideal for me being a veggie. Oh love it . 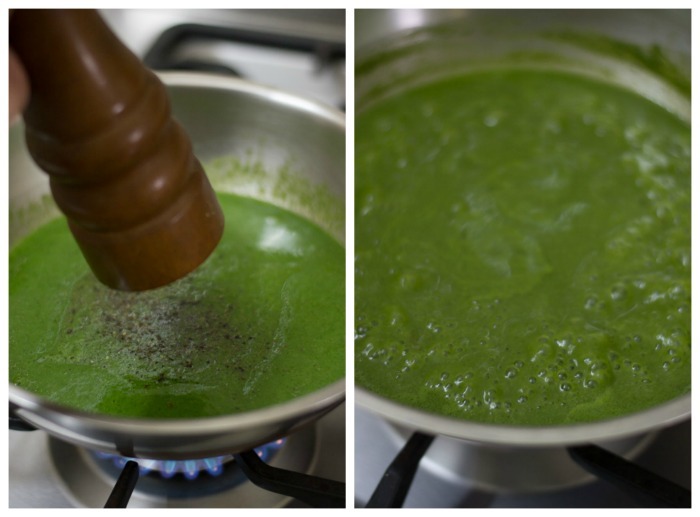 Is there any other leafy vegetable whose soup we can make similarly ? I have posted a lot of soup recipes. Do check them. superb recipe thax akka.tom i am goving to try this❤️?